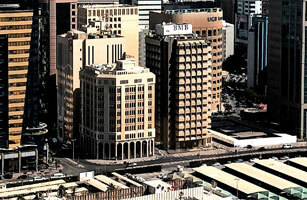 Manama, Bahrain (30 October 2005) – BMB Investment Bank (“BMB”) announced today its nine month results for 2005 with an increase in net income to US $9.7 million from a loss of US $3.7 million in the corresponding prior year period. This fourth consecutive quarter of profitability has seen income from operations increase to US $16.7 million as compared to US $2.8 million in the first nine months of 2004. Profit for the third quarter stood at US $0.4 million (net of impairment provisions of US $1.5 million) versus a loss in the third quarter of 2004 of US $3.2 million.